Smart Money System is a generic trading signals software, which opened in March 2018. It is actually a duplicate software, from the people who made the Ethereum Code scam. Here is what you need to know about Smart Money System software, before you become the next victim of the classic Forex investing scam. The problem is that Smart Money System is just like all the other scams we have reviewed. They claim you will make profits of thousand of dollars a day, however the truth shows otherwise. Immediately upon visiting their website, we saw their fake celebrity endorsement across the top of the page. 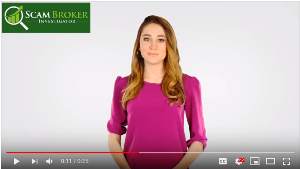 The only purpose of their promotional video, is to convince you, to open a trading account at the offshore scam broker they choose. They tell you: “Once your account has been activated, a Smart Money Coach will call, to walk you through making your first profit online”. You will instead get hounded by phones calls from fake brokers in Eastern Europe, asking you to invest $5,000 in their ponzi scheme. Compare this software with the popular robots. The official website is at: https://smartmoney-system.com/. Feedback from various investors show that this trading signals software doesn’t work, and the actual results are not good. A real trading signals service like the one offered at DupliTrade is transparent and clear. You can see the history of the trading account, for better or for worse. 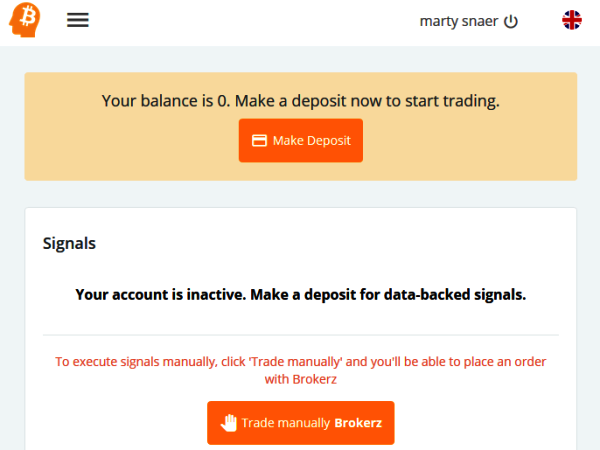 When we signed up for this software, they keep asking us to deposit money into the brokers account. We had no ability to see the actual trading software, how it works, or if there are any risk management settings. Basically, Smart Money System is actually just a “get rich quick” funnel, to get you to invest your money with an offshore / unlicensed broker. If you are interested in trading signals, or licensed brokers offering copy trading, look at the popular systems. You need to know that your money is going to be deposited at a scam Crypto broker. One they have your money, you will never see your money again! If you want to understand in full details how these offshore companies operate, go read this. The smart people always end up choosing one of the licensed & regulated brokers listed here. 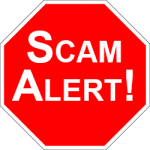 Please tell fellow Crypto investors which scam broker the Smart Money System told you to use, in the comments section below.